Every player has their own plate collection. 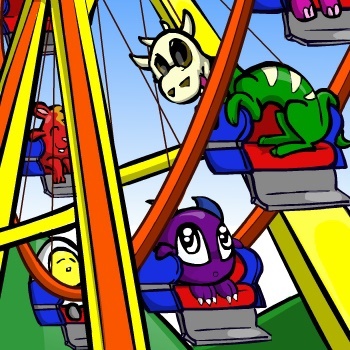 The Ferris Wheel is the best ride in Marada for minipets to ride on! You can ride once every 4 hours for 1,250MP and will receive a souvenir plate. Select any minipet that you own, and if available, you will win a plate with a picture of your minipet on it for you to collect. The Mini Fairy rewards you for collecting Plates. Buy a Ferris Wheel Giftbox item and you can use the Ferris Wheel twice as often for life!